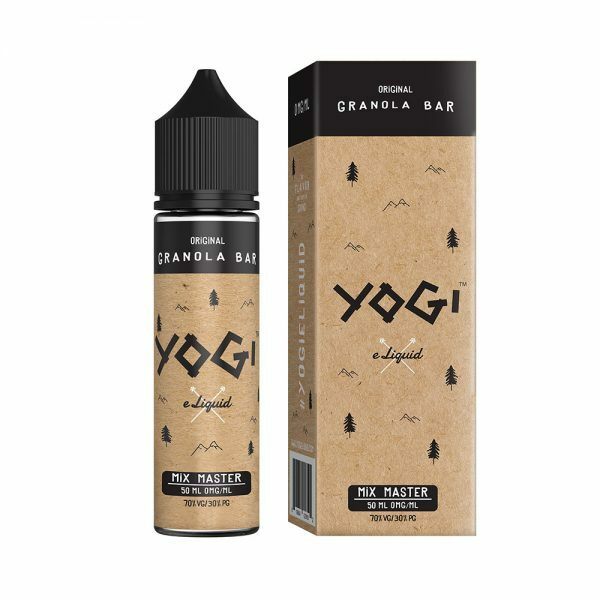 Yogis Granola Bar E juice is a granola oat bar flavor thats baked to a toasty crisp until golden brown and sweetened with a hint of raw honey. Yogi Granola bar e liquid is the original granola bar flavor and is like no other. For the inhale you can taste the rolled oat of the Granola bar a smooth exhale with undertones sweet rich honey.Yogi granola snack bar Ejuice is spot on honey granola oat flavor making a great all day vape juice.